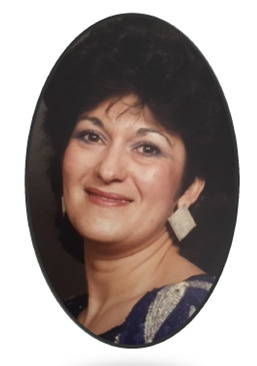 Camelle (nee-Porchiazzo) Trufelos passed away peacefully on Monday, May 21st 2018 after she fought a long battle with lung cancer at The Lincoln Park Renaissance Nursing Home in Lincoln Park. She was 73 years old. Camelle was born and raised in Jersey City before moving to Pine Brook in 1995. She worked for Crossmark, Inc. (the company was based in Texas) as a Retail Representative. Camelle was an a integral part of the caring of her 2 grandchildren on a daily basis. She spent a great deal of time with Dylan and Gianna and they brought such joy to her life. In her spare time, she loved to knit, crochet and sew. She belonged to the knitters and crocheters group at The Lutheran Church of the Holy Spirit in Montville. She was lucky to have met and made so many wonderful friends there. Survivors include her husband, John M.; her daughter, Christine T. Rabasca and her husband, Robert; her brothers: Michael, Victor, Lew and Carl Porchiazzo; and her 2 grandchildren: Dylan and Gianna. Relatives and friends are invited to attend her Visitation on Friday, May 25, 2018 from 4:00 – 8:00pm at the Par-Troy Funeral Home. 95 Parsippany Road, Parsippany. (973) 887 – 3235 or visit www.partroyfuneralhome.com. With her Funeral Service Saturday morning at 11:00am at the Funeral Home. Cremation: Private.